This entry was posted in Figurative art and tagged artist, ballet, crow, dance, figurative, hamlet, jereme, Links, oil, ophelia, painter, painting, print, stage, tango, Theatre on February 9, 2008 by crowfineart. 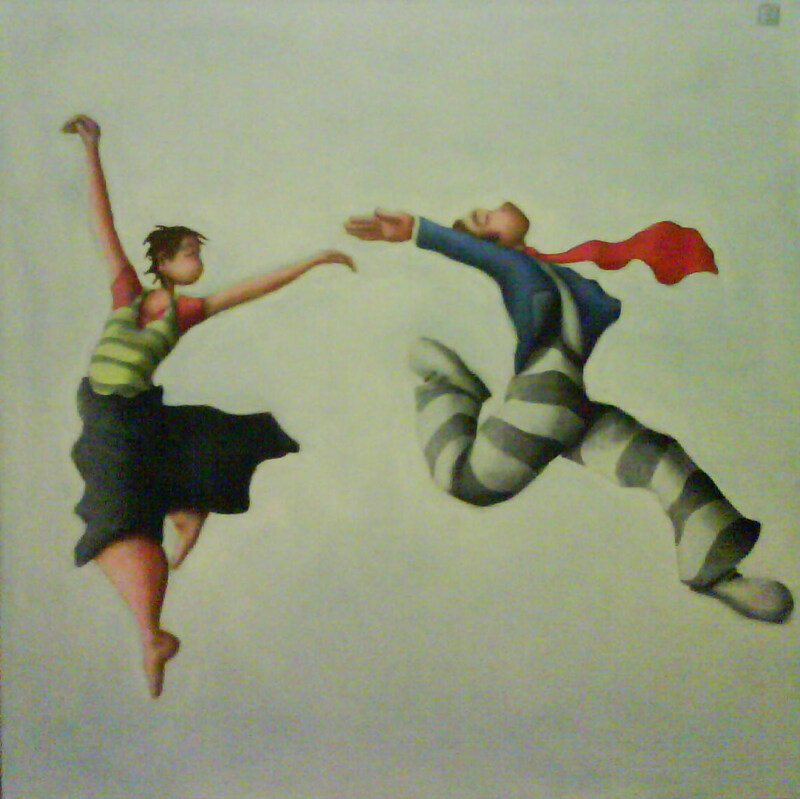 can you tell me whether a print is available for your picture Leaping Lovers – or the original. This was posted on your site on Feb 9th 2008. Please email me with information. I could paint another version of the original for you. Painted in oils on a deep edge canvas measuring 75cm x 75cm would cost £350 plus shipping. Hi Bronwen, I have sent you an email.